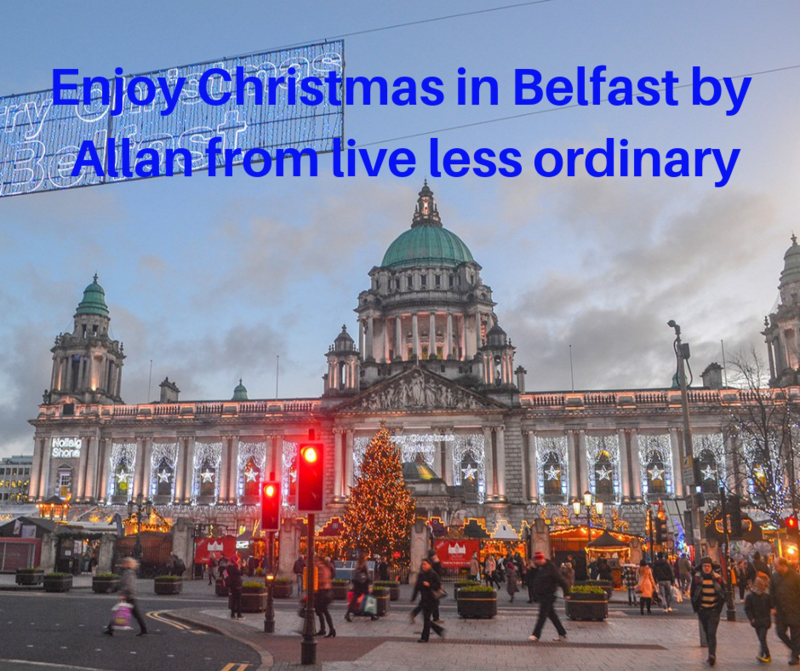 Belfast, the capital of Northern Ireland, is easily one of my favorite Christmas getaways, and while it is relatively unknown when compared to the bigger cities of Europe, Belfast has a uniquely quaint and local charm that is perfect during the festive season. As it has just the right amount of seasonal excitement to make for the perfect weekend away. So most of the events and activities center around the Belfast Christmas Market, which is an annual winter event opening daily from early in November, and it continues through to the last night of Christmas Eve. And while Belfast hasn’t the same traditional origins as Christkindlmarkt or the more famous continental markets in central Europe, it does have one of the more impressive backdrops beneath the architecture of Belfast City Hall. However, the Christmas Market has brought some interesting annual traditions of its own through recurring annual kiosks, including the “Meats of the World” stand, which sells burgers of otherwise obscure meats like ostrich, wild boar, and kangaroo burgers. Alongside the usual continental treats like German sausages, candy stands, and mulled wine (vin chaud). And of course there are the winter beer tents serving big steins of Paulaner and other popular festive beers, which do pack out quickly, so it’s always best to arrive earlier in the day/evening (opens from 10:00 AM to late). 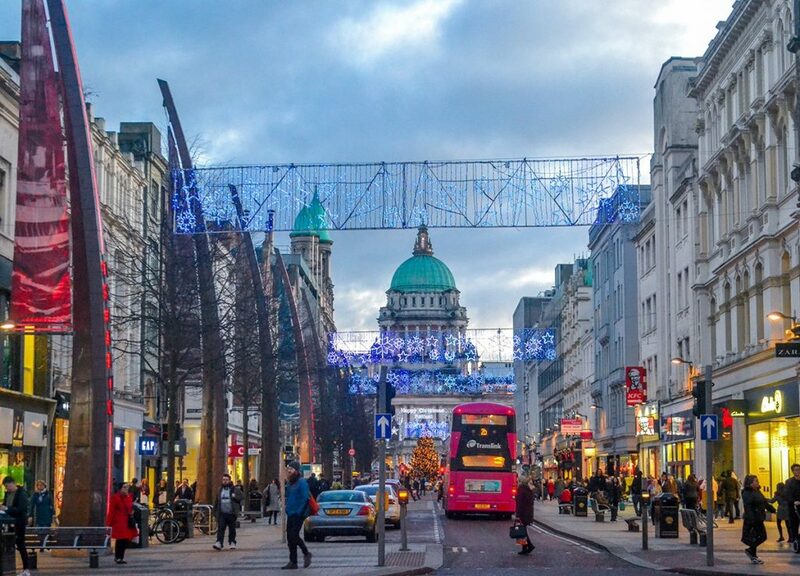 Otherwise Belfast is just a charming city to explore during the winters and run up to Christmas, and directly opposite the city’s shopping streets at Donegal Place, with local buskers, quaint sculptures, and just the excitement and bustle of the festive season. 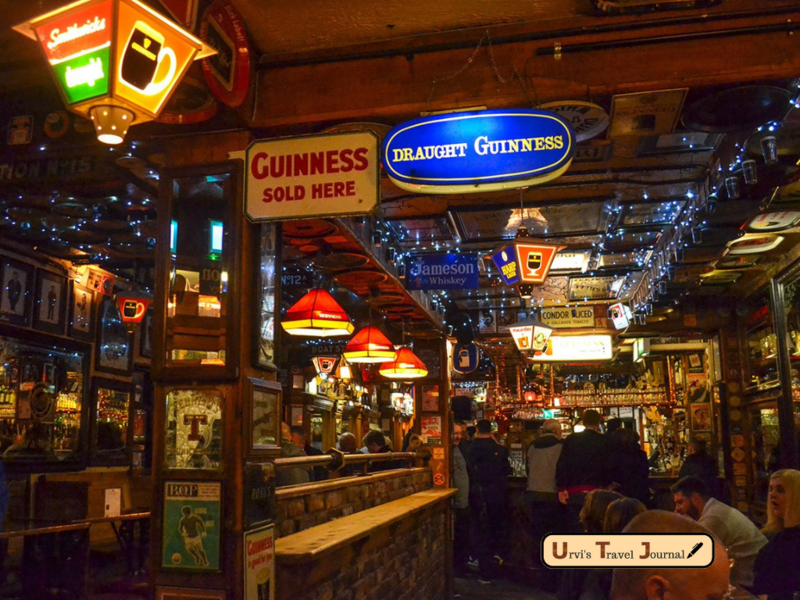 Although the best times to be had are in evening hours at the various pubs and traditional bars of Belfast, and the ‘craic’ (a Northern Irish word meaning banter) would be best on the cobbled alleys of the Cathedral Quarter which includes a handful of famous Belfast bars including the Duke of York.